Princeton Tec's Axis Rechargeable headlamp shares a common platform with the alkaline-powered Axis. Both Axis models focus on giving you the most control over your light output: toggle through modes with a large push button and dim or brighten each one with the easy-to-use dial that surrounds it. On the Axis Rechargeable, flip the door open to gain access to a micro-USB port for charging. 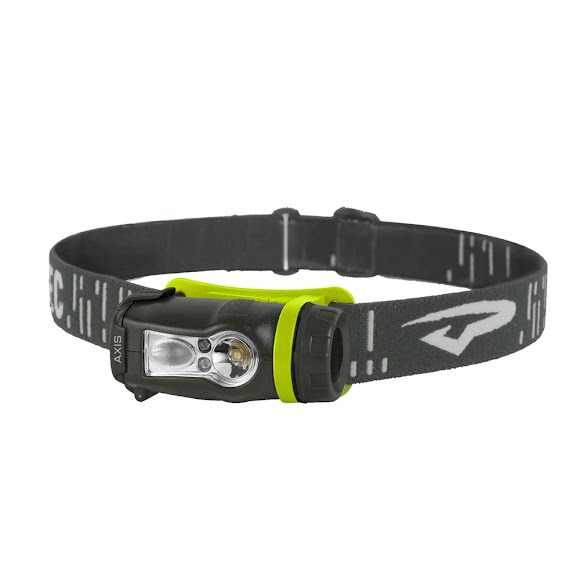 Princeton Tec &apos;s Axis Rechargeable headlamp shares a common platform with the alkaline-powered Axis. Both Axis models focus on giving you the most control over your light output: toggle through modes with a large push button and dim or brighten each one with the easy-to-use dial that surrounds it. On the Axis Rechargeable, flip the door open to gain access to a micro-USB port for charging. The built in battery power meter shows when charging is complete, and modern rechargeable battery technology means this headlamp will have a consistent output in a wide range of temperatures. Many people are thinking about switching to rechargeable headlamps for convenience, long term-savings on batteries and to minimize their impact on the environment. With the Axis Rechargeable, you donâ€™t have to give up features for savings and environmental benefits.